Do you have kids you're sending back to school soon? School starts on August 11th. That means we have one more George Streetfest to get in during this summer season! 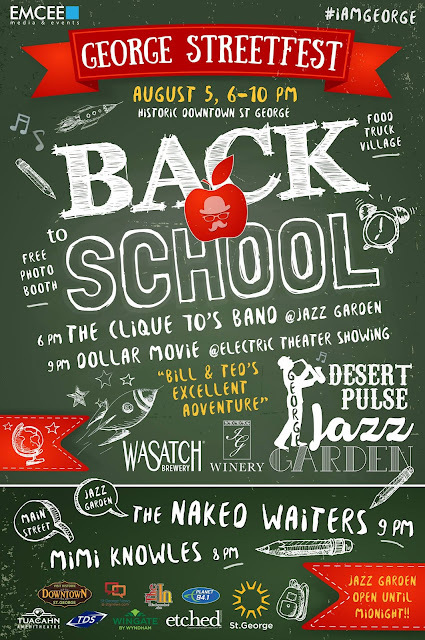 George Streetfest happens on Main Street in St. George and there is an adults only Jazz Garden in Ancestor Square.